1) What does OSCE Skills include? 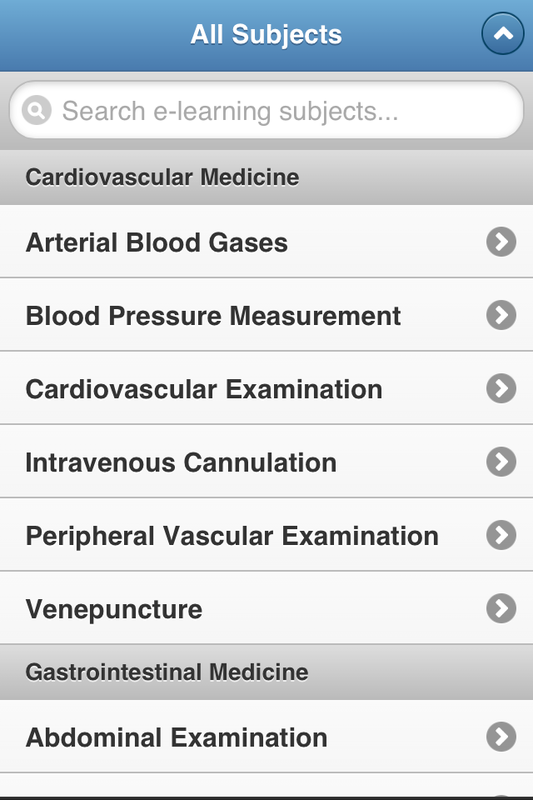 2) Though the app is aimed to medical students, can others benefit? From personal experience, I can tell you that the physical exam is something that is not so easily learned as a medical student. Only years of practice will hone the skill – but medical students have to start somewhere. The OSCE examinations are used to assess basic physical exam skills from med students. 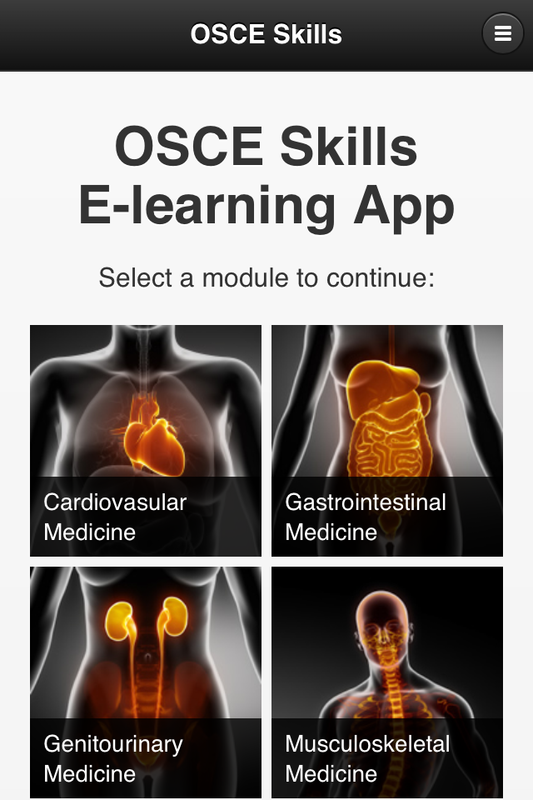 OSCE Skills is a medical app that hopes to help medical students get the basics down to help them get through their clinical skills training. OSCE Skills was produced by the makers of OSCEskills.com. They both share almost the exact same content, except the content online is free. The app opens with icons of different systems. 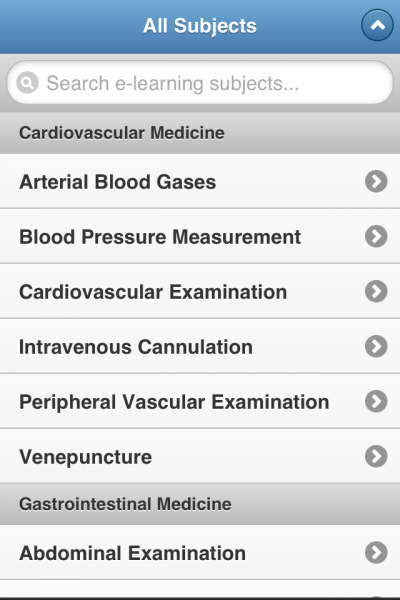 Each system has a list of modules covering different physical exam techniques. 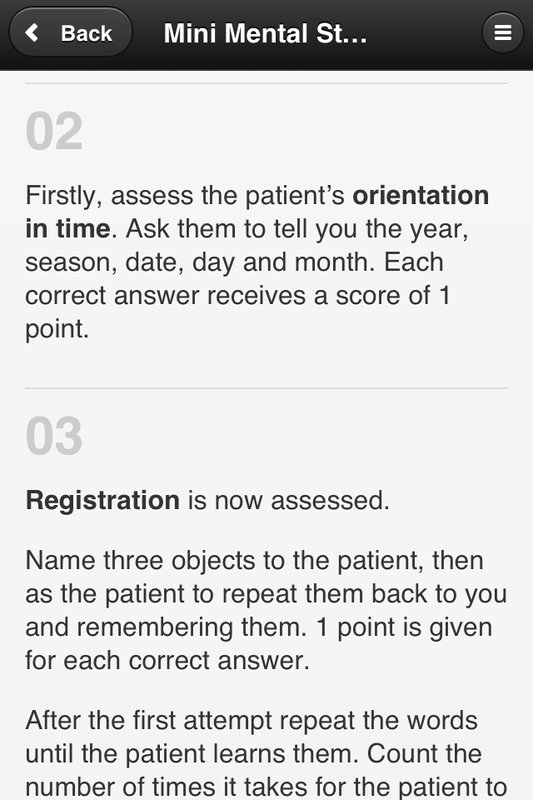 Each module includes step by step instructions on how to appropriately complete a specific physical exam during an OSCE. 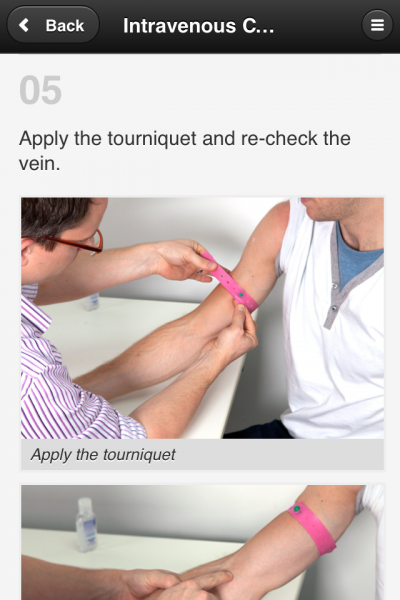 Each module includes a written description of the physical exam and several pictures. Though some physical exam skills do not require videos to facilitate learning, a quick video of something like venipuncture would tie the entire module together. This app does not currently include any such videos. The app is searchable to help users find what they need. 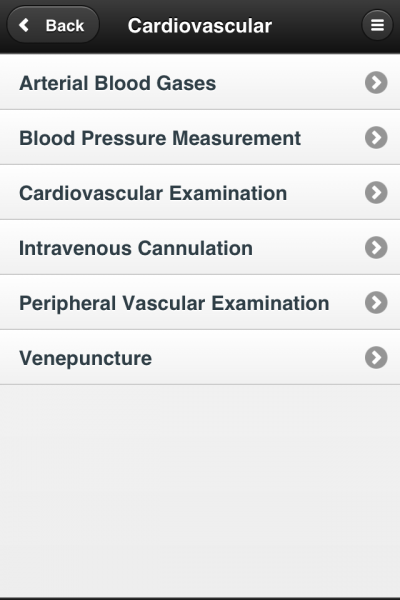 The app includes a long list of physical exam skills. Each physical exam passage is written clearly and is easy to understand, the pictures also help with understanding. The app does not include videos, only pictures. The nuances of physical exam skills are difficult to capture in just pictures and words – videos may work better. The app costs $1.99, but the website is free. Their content is the exact same. The app may be more convenient, but I would expect users to get something in addition for a paid app since the website worked just as well on my iPhone. Unlike the website, the app does not include wikipedia links for terms. There are no authors listed in the app or on the website, nor does it say the content has been peer-reviewed. OSCE Skills is an iOS medical app that has pictures and descriptions of physical exam techniques to help medical students prepare for OSCEs. The app shares almost the exact same content as its website, osceskills.com, which has all of the content for free. The app is searchable, to help users find what they are looking for. 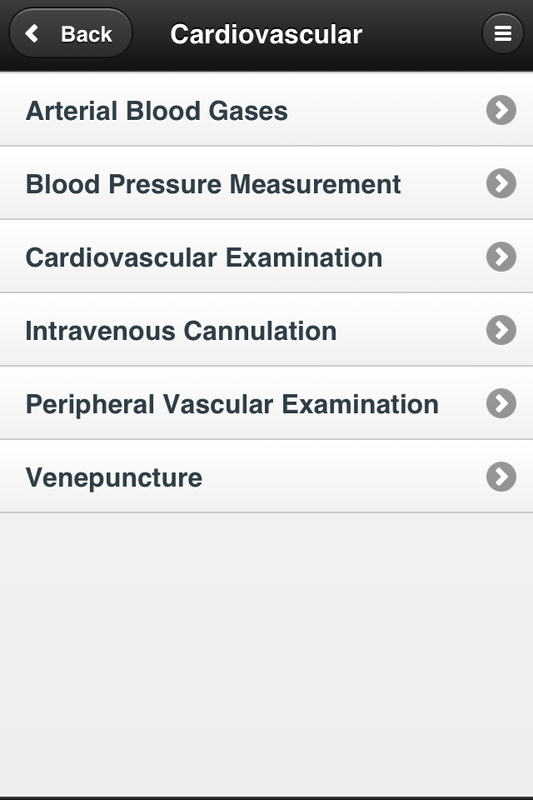 The app does not include videos, only written descriptions and pictures of physical exam techniques. The app and the website do not have authors listed; it does not say if the content is peer reviewed. The only reference I found on the website was on the contact page where it says “sourced from Wikipedia”. This app is currently not available on the Android platform. User Interface: 3/5 Stars. The app is searchable and the content easy to understand. However, the nuances of physical exam are lost in words and pictures – videos would be better. Multimedia Coverage: 2/5 Stars. The app only includes pictures and written descriptions. For something like physical exam, videos would be far more valuable. Price: 3/5 Stars. This app costs $1.99. The content is the same as its website. I would expect the app to cover more than the website when the website’s free and the app costs money. Real World Applicability: 3/5 Stars. This is a reference app, so it would most likely not be used daily. Thank you for taking the time to review the OSCE Skills App. As part of the team involved with producing it, we are very much appreciative of your comments and will take them on board in the next version we are due to launch very soon (obviously a free upgrade for current users). In regards to authorship, all content is written by three fully qualified doctors in the UK. We will be posting details of which will be added to our site and the app very soon too. We have been concentrating the last few months on refreshing all the photos on the site, as well as updating content and releasing new stations. Therefore our aim hasn’t yet been to get started on the videos whilst we still need to refresh everything else. These are in the pipeline though. In regards to unique content for mobiles – our intention was to never to place anything behind a paywall which a lot of other sites do – everything that is on the OSCE Skills main website is available to everyone for free. The cost of the mobile app is attributed to the convenience of having all content and photos available to the user without requiring an internet connection – something that is frequently required in hospitals (just like you would pay for a copy of a book). Thank you again for reviewing the app, and hopefully once we’ve performed a few updates, you’ll give it another look. Phil, thank you for the points of clarification for our readers. Please reach out to us when a new version is published and I or one of my colleagues would be happy to review the updated version of OSCE Skills. Thank you again!